Botin day. 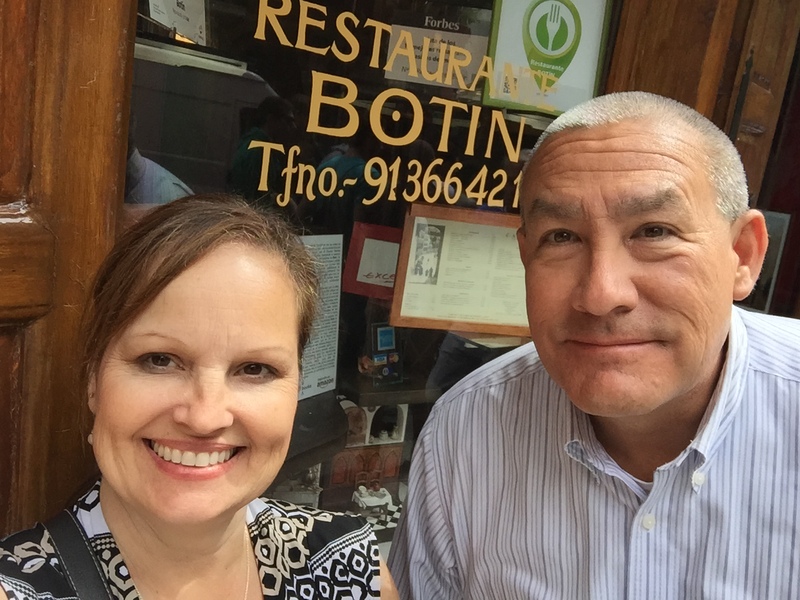 What’s Botin, you ask? It’s the world’s oldest restaurant. Hemingway ate there. (Of course, everywhere you go in Madrid, you see signs that “Hemingway ate here.”) Their specialty is roasted suckling pig. And it was amazing. When I told my dad I was going to Madrid, the first thing he suggested was making reservations here. Obedient daughter that I am, I made a reservation and dragged Terry along. Outside restaurant. No comment on the hair. Humidity is not kind to me. White asparagus and mayonnaise. Oh my. So yes, Botin day was most definitely a highlight all around. WOW! I can only imagine!!! I am so in awe! !